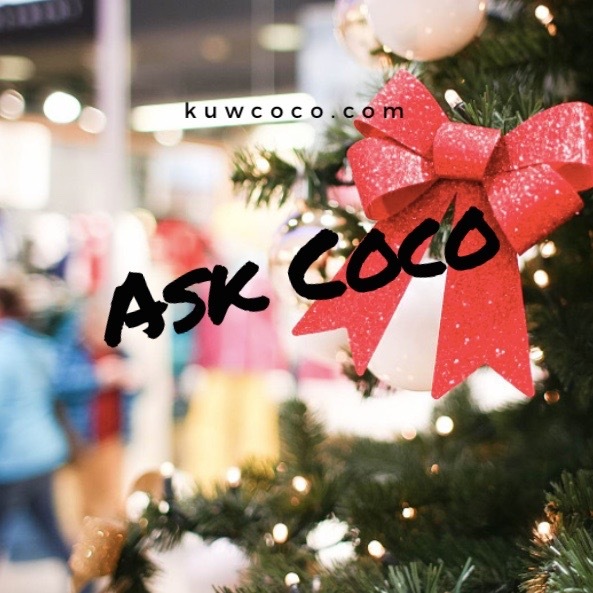 I asked you my wonderful followers to ask me questions for an Ask Coco and here’s what I got! I’m also throwing in a few frequently asked questions I get asked so my answers are all in one place! Q: Where did Keeping Up With Coco come from? A: Well my real first name being Nicole, I always heard that Coco was a nickname for Nicole so partially from that and partially from wanting to be a Kardashian. I am obsessed with that family and so I thought it would only be fitting to make my blog name Keeping Up With Coco. Obviously I would have preferred Coco to be Koko but that’s Khloe’s nickname and I thought all the K’s would take it a little to far for a beauty, lifestyle and fashion blog! A: I’m from Long Island, New York and yes I live on Long Island not in it. A: I’m 19 and my birthday is June 22nd! Q: When did you start doing makeup? A: This answer I cant be 100% sure about but I know I was for sure wearing makeup in the 7th grade. It was I’m sure just concealer for my acne but that’s makeup! Q: What were the first five makeup products you owned? A: This one is so hard and I honestly have no idea. I would say possibly a Maybelline foundation and all those Smacker lip balms! Q: What are your top five songs of the month? A: For my career I either want to be a full time blogger or work in public relations! Working public relations for a makeup company would be absolutely ideal! For my life I want to be healthy and happy most importantly. And for my blog I would love to either do it full time or just to have lots of readers who love reading what I love writing! Q: What got you interested in makeup? A: My dream job when I was younger was always a makeup artist, it then transitioned to an interior designer but I always came back to makeup! I just love playing around and experimenting and now that I get to do it and review things and have people read what I write about makes it all worth it and I couldn’t see myself really getting into anything else! Q: How did you feel posting your very first picture on Instagram? A: I was really nervous actually, its like when you post that first Youtube video you eventually delete because your scared of what people are going to think but once I started getting likes and really getting into it Instagram has become my favorite social media! Q: Would you ever transition into Youtube? A: That has always been an absolute dream of mine to be perfectly honest and maybe when I get more readership I would start doing some reviews and tutorials on their if it was requested by my lovely readers! Q: Who’s your favorite Youtuber? A: 100% The SacconeJolys and ItsJudysLife. I watch there vlogs religiously everyday and as for beauty Youtubers Zoella of course, GlamLifeGuru and Shaaanxo! Hope you enjoyed my little Ask Coco I threw together for todays post! If you have any more questions for me feel free to leave me a comment and ill get back to you!! See you Wednesday with my first official Christmas Gift Guide of the season!